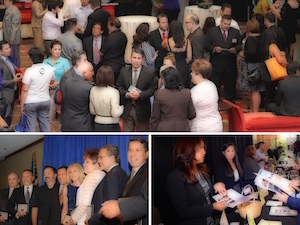 Hispanic Lifestyle is pleased to announce our 2015 Southern California Business Expo and Conference will be held on August 5, 2015 at the Ontario Airport Hotel and Conference Center, Ontario, California. 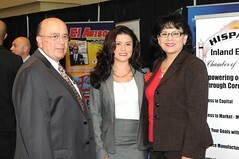 The roots of Hispanic Lifestyle’s business to business event started in 1996. 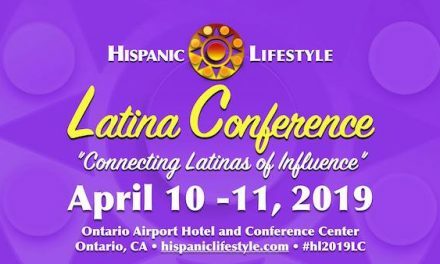 Over the years Hispanic Lifestyle has celebrated the success of over 100 Latino owned businesses who continue to Survive and Thrive in California’s economy. We are pleased to be working with the Inland Empire Small Business Development Center who will be providing workshops and counseling services onsite. 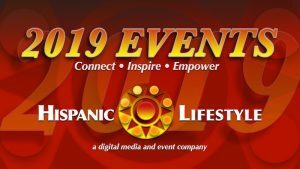 For the first time, Hispanic Lifestyle with the support of Wells Fargo Bank, Southern California Edison and the Inland Empire Small Business Development Center we are providing 100 free full access tickets (breakfast, lunch, workshops and panel discussions) to small business owners. Restrictions apply, only one (1) complimentary ticket per business (you may purchased additional tickets at the small business rate), and answer a few questions on the registration page. ** You must be independently owned business and not a partner, or agent of a corporation, government or educational facility. Below are the biography’s and links to the CEO’s participating on the panel discussion. 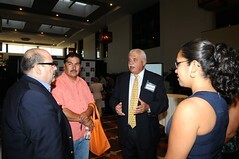 Reuben Franco is the President and CEO of the Orange County Hispanic Chamber of Commerce. 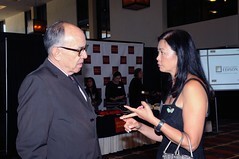 Prior to joining the OCHCC, Reuben spent 16 years in the banking industry, where he served as a lender to numerous entrepreneurs in Southern California. 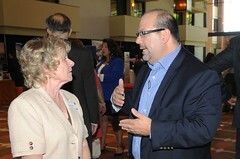 Reuben’s current work with the OCHCC is focused on advocating on behalf of business at the local, state and federal level and providing the needed resources it takes to help Orange County Businesses succeed. 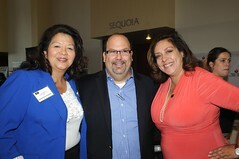 Reuben serves as a director on the nonprofit boards of the Los Angeles Mission, Encuentros, The Orange County Hispanic Chamber Education Foundation and on the advisory boards of Kidworks, Hispanic 100 and ALPFA. 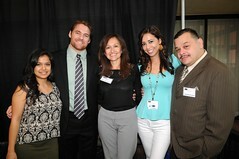 He also serves in the capacity as Vice-Chair of the Community Investment Council for the Orange County United Way. Reuben holds a Bachelor of Arts in Economics from the University of California at Los Angeles. 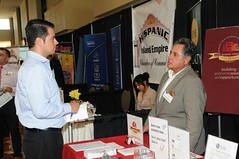 HRBC Insurance is at the leadership of Henry Romero. 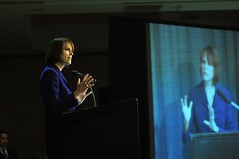 As President, he sets forth a mission which is customer service driven. Henry’s drive & knowledge of the industry has been proven by over 30 years of experience & the exponential growth of the company since 2005. Prior to this, Henry was considered one of the top in his league at Kaiser Permanente, structuring health insurance plan operations to meet the needs of his clients. After his retirement at Kaiser Permanente, he took this expertise to the next level which afforded him to anticipate the consumer trends & needs of his consumers at HRBC. Henry is also a nine-year veteran of the United States Marine Corp. where he first developed leadership & team building expertise; which is reflected in his overall company mission. For more than 30 years, Teresa Saldivar has been a role-model for youth; an inspiration for small business; a trailblazer in empowering minorities, females, and the underprivileged to fulfill their dreams and potentials; an ever-present community supporter; and a respected and accomplished national figure in the jewelry profession. And she’s done it all from the helm of Teresa’s Jewelers, the legendary Downtown Santa Ana landmark she launched with her sister Patty in 1985. After spending the prior decade learning the jewelry trade in Los Angeles, it was a naysayer who denied her a raise and advancement due to her gender that flamed Teresa’s entrepreneurial spirit and set her down the historic path to becoming the first Latina gemologist to own a jewelry store in California. She has since gone on to become the first Latina to serve on the prestigious Jewelers of America board and president of the California Jewelers Association. 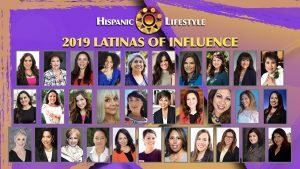 She has also earned such accolades as Entrepreneur of the Year from the National Hispanic Business Women and National Latina Business Women Association, as well as recognition as a “Difference Maker” by the Santa Ana Chamber of Commerce. But her proudest legacy — that of creating a family business that extends its love, warmth, and support daily to its customers — is also what she offers the community in her tireless support for local causes. From youth education, scholarships, and mentoring programs to the arts and career development, Teresa is an advocate for it all with a big heart and generous spirit. Just a few of the many organizations she has touched and that have recognized her outstanding service include United Way (Hispanic Influential Award), YWCA (Tribute to Women Award), Santa Ana College (Hall of Fame), and the city of Santa Ana (Exceptional Volunteer Service Award). Teresa was born and raised in Santa Ana, graduated from Santa Ana College and California State University at Fullerton, and is just as thrilled today to welcome people to her store with open arms as she was the day she opened her doors and turned her community into family. Steve PonTell is the President and Chief Executive Officer of National Community Renaissance, one of the nation’s largest nonprofit developers of affordable and senior housing. National CORE owns, operates, and/or manages nearly 9,000 units serving more than 27,000 residents in Arkansas, California, Florida, and Texas. Mr. PonTell is a respected national voice on the affordability and availability of housing, and the need for collaborative solutions to the housing crisis. Under his leadership, CORE and its Hope through Housing Foundation have earned wide acclaim for their proven and effective approach to building and preserving affordable housing that positively impacts communities. In 1996, Steve founded the La Jolla Institute, a California-based nonprofit think tank that advances a better understanding of the critical elements necessary for both communities and corporations to achieve sustainable economic competitiveness. He is a nationally recognized authority on community development and creating forward-thinking organizations to maximize evolving market environments. Steve has a Bachelor of Science degree from California Polytechnic State University in City and Regional Planning and an Executive MBA from Claremont Graduate University’s Drucker School of Business. 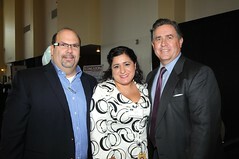 Bruce J. Barber has been at the forefront of the integration between technology and marketing for over 15 years. The majority of his career has been spent in the entertainment industry consulting celebrities on social strategies and monetization of their digital assets. Bruce was also part of the team that started BLKDMNDS, a production company that amassed over 260,000,000 video views in the first 24 months of operations. 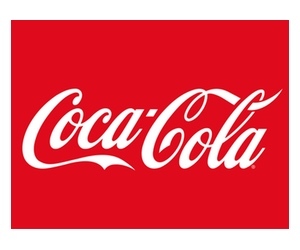 On the advertising side, Bruce was CMO of a digital publishing network that ranked 19th in the world in page views with 20 owner operated destinations and tens of thousands of publishers. Bruce has a unique insight in what it takes to create conversion results and monetize assets in the digital world. 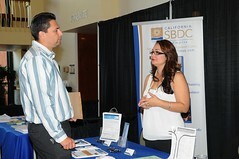 Robert has been serving new and existing business owners in the western part of the Inland Empire SBDC’s territory since 2000. Previously working as an operational consultant for corporate 7-Eleven, his focus was on assisting franchise owners in improving the sales and profitability of their stores. Adding to his prior experience of managing two service-based endeavors, this retail focus was integral in providing him the well-rounded background needed to assist the variety of business owners that seek help from the Inland Empire SBDC. Robert consults with business owners and entrepreneurs out of offices in Chino, Eastvale, Ontario, Rancho Cucamonga, and Upland. 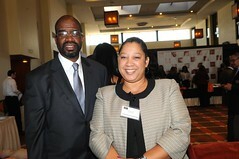 Adriana Williams is a Business Development Officer at Opportunity Fund. 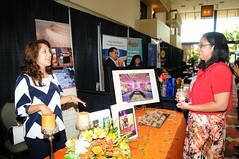 She is a member of the Small Business team and works with business owners in the Inland Empire and Orange County areas. Prior to joining Opportunity Fund in December 2013, she helped run her family’s water bottling business in Puerto Rico. She obtained her BA from Boston University and MBA from City University of New York-Baruch College. She is fluent in English, Spanish and Cantonese. 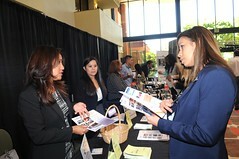 Carla Ulloa is part of the CDC Small Business Finance Community Development team. 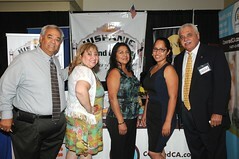 At CDC Carla assist business owners in determining the best options for their technical assistance and financial needs. Through a variety of different sources, Carla helps small business in the local community acquire microloans or other SBA financing sources. 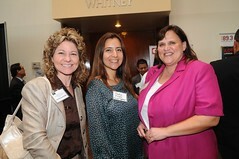 Prior to joining CDC, Carla Ulloa was the Training Coordinator for the Inland Empire Women’s Business Center (IEWBC). 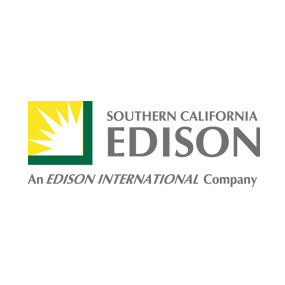 The IEWBC, a non-profit organization, partially funded by the SBA providing one-on-one technical assistance and low cost workshops for Small Businesses in San Bernardino and Riverside County. 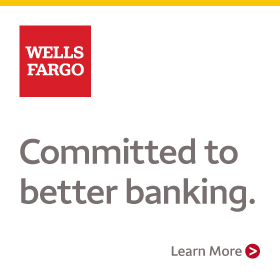 Bill began his career at Wells Fargo over 12 years ago as a commercial lender. For the past 7 years he has managed commercial lending teams for the Business Banking Groups in both Orange County and the Inland Empire. 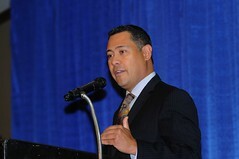 He holds a degree in Accounting from the University of the Pacific and obtained his MBA from Arizona State University. Prior to his banking career he was a college football coach. Bill is married and has 2 sons and enjoys all competitive athletic events. 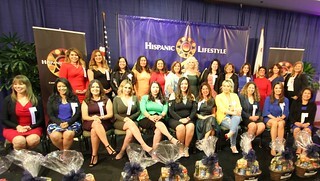 Presentation of Hispanic Lifestyle’s 2015 Southern California Survived and Thrived Businesses Listing. The companies below are invited to participate in our luncheon program. Please stay tune as their profiles will be added prior to the event. * Note our working schedule is subject to change. 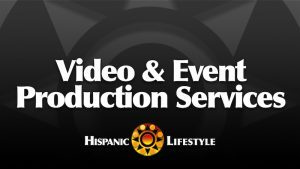 One (1) 2 – 4 minute interview segment to be featured on Hispanic Lifestyle’s online network. 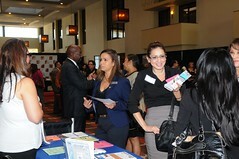 8 x 8 exhibitor space at the event. Reserved table includes 10 tickets to the event. Sponsor message/article on website to be provided client. Logo rotating at the event. 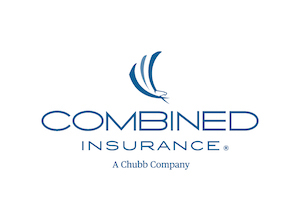 Includes profile posting on inthemarketplace.biz (Logo and 100 words and website link) Click here to download application.